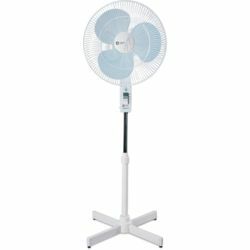 Made from high quality materials and featuring a high torque motor to ensure optimal air delivery, the Orient Electric Stand 38 fan is intended for commercial use. 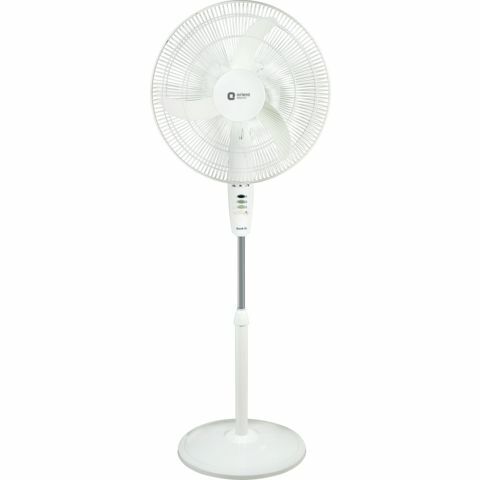 This fan will delight everyone with its cooling capabilities. Coming in white, this stand fan features motor protection through thermal overload protection device, powder coated guard and polymer ring, aerodynamic resin blades, 90-degree oscillation, and a sleek switch panel and round base to enhance its elegance. 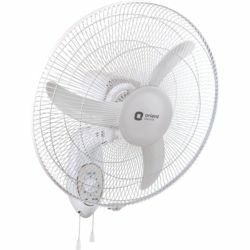 Made from high quality materials and featuring a high torque motor to ensure optimal air delivery, the Orient Electric Stand 38 fan is intended for commercial use. 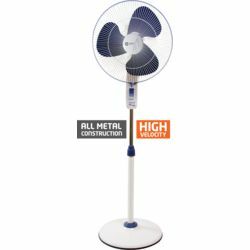 This fan will delight everyone with its cooling capabilities. 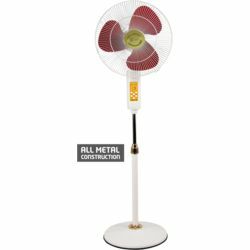 Coming in white, this stand fan features motor protection through thermal overload protection device, powder coated guard and polymer ring, aerodynamic resin blades, 90-degree oscillation, and a sleek switch panel and round base to enhance its elegance.